Pianist Rune Ofwerman (b. 1934) is one of the most important figures in the Swedish jazz scene. He started his professional career in the early 1950s, and since then, has performed or recorded with virtually all Swedish jazz musicians of note as well as visiting interntional jazz giants such as Stan Getz and Tony Scott. 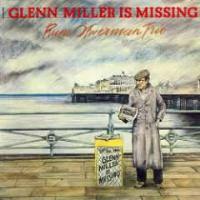 Glenn Miller Is Missing is one of Ofwerman's best recorded works. Recorded in 1977 with a superb rhythm section--Mads Vinding on bass and Ed Thigpen on drums, this album is a tribute to Glenn Miller, his very early influence and inspiration. Piano trios do not often perform Glenn Miller repertories, but Ofwerman and his trio pull it off admirably with clever arrangements and truly inspired performance. A wonderful piano trio album! Recorded in Sweden, September 23, 1977.